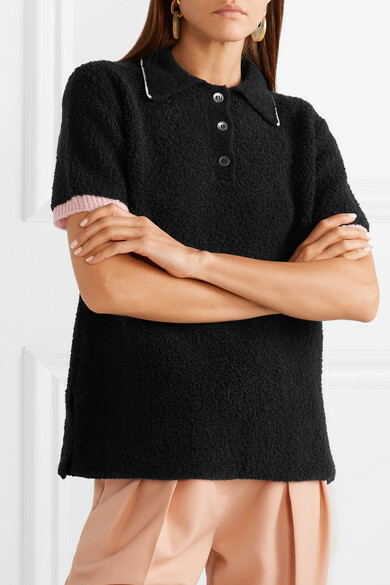 Inspired by sporty polos, this Marni shirt is knitted from sumptuous wool-blend bouclé that's just the right thickness to transition between seasons. 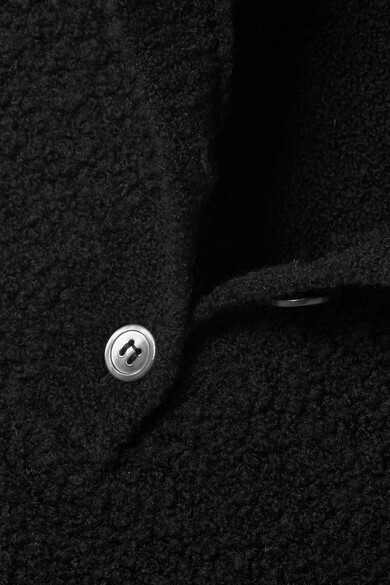 It has all of the classic details you'd expect, including a half-placket which we suggest styling buttoned to the top. Wear it with pastel pants to complement the baby-pink and white trims. 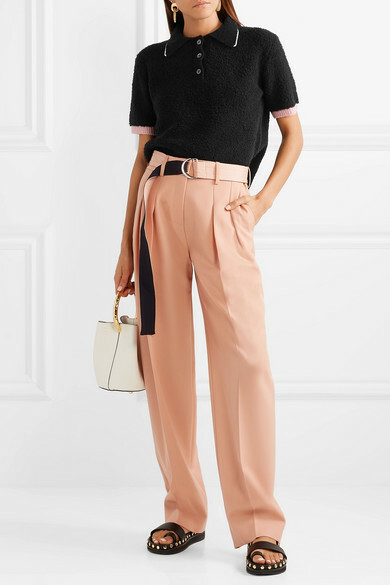 Shown here with: Victoria, Victoria Beckham Pants, Marni Bucket bag, Isabel Marant Sandals, Marni Earrings.